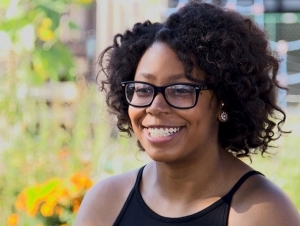 Bryanna Hill always envisioned herself as a teacher, and she chose Buffalo State for its highly regarded elementary education program. While the West Seneca West High School graduate predicted she would receive excellent classroom instruction and hands-on experience, she didn’t expect the myriad international opportunities that have composed her college education. Through the School of Education’s International Professional Development Schools (IPDS), Hill, now a senior, traveled to Chile and the Dominican Republic (DR), spending about three weeks in each country. She taught local children and explored the countryside with other teacher candidates and Buffalo State faculty. “The trips were life changing,” said Hill, who also has a concentration in Spanish. Along with garnering unique classroom training in the DR, Hill made new friends in her major and reveled in the beachside scenery of the town of Cabarete. “It was perfect,” she said. In Santiago, Chile, Hill took classes at a Spanish language school and participated in adventurous excursions such as climbing the Andes Mountains. She also visited the pen pal she met through Buffalo State’s partner university, Universidad Mayor. Now, Hill is working as an IPDS ambassador on campus where she shares her experience in hopes of persuading other students to travel. Hill also parlayed her Spanish concentration into a stint observing a teacher at a Buffalo bilingual academy and working with immigrant children on Buffalo’s West Side through the Global Book Hour. She’s supplemented her academic work with involvement in the campus’s Elementary Education Club and Club Hola (Hour of Latino Awareness). “Getting involved in groups designed for education majors was good because I met faculty who helped prepare me for teacher certification exams and everything you need to know to become a teacher,” she said. Hill presented two projects: "Effective Ways to Instruct English Language Learners" and "Exploring the Use of Student White Boards to Engage Students in Chilean Classrooms" at the annual Student Research and Creativity Conference in April. She has been accepted into the Teaching English to Speakers of Other Languages (TESOL), accelerated undergraduate to graduate 4+1 pathway program. This means she can begin graduate work this year and apply credits toward the graduate degree she plans to pursue beginning in fall 2018.